So lets start this off by stating the following: I am not a gamer. I never have been and probably never will be. My XBox and Playstation haven’t been turned on in several years. My Wii U is the only system in use, primarily for playing games like bowling or Toy Story Mania with my daughters and wife. All of the games I do play regularly are on mobile devices now. From games like Clash of Clans to Words With Friends, I have kept myself quite entertained, yet I always felt something was missing. The Star Wars element of my gaming was missing. I remember back in the day playing Battlefront, Knights of the Old Republic, X-Wing vs TIE Fighter, The Force Unleashed and so many more. These games took up a lot of my youth and as with the now Legends line of books, continued the Saga on the screen as in my imagination. I have been missing the Star Wars element of my gaming. Yes, of course KOTOR has been released on the iOS devices, and I have gotten to relive some of the magic of my youth, but I wanted something new. Something that connected me to the gaming of my youth but gave me a new experience. Then I found it on September 9th, 2015. That’s when Lucasfilm and Kabam introduced Star Wars Uprising to the world of mobile gaming. I hastily downloaded it to my iPad and played long enough that night to create my hero and first few story missions. I did play it off and on since then. Title screen captured from my iPad. Until earlier this week, when I spent a few days in the hospital and really had a chance to play Uprising. Face it, there isn’t much else a guy can do when laid up for 3 days in the hospital. Uprising takes place after the events of Return of the Jedi and before The Force Awakens. Like in KOTOR, you can design your character as you will. In the game you are a gun for hire working for the highest bidder while building your reputation with different criminal organizations which eventually leads you to the Rebel Alliance. Through the different missions, you collect gear to equip your hero with and different crystals to upgrade your gear. The gear and crystals earned are determined by what planet you are on when completing missions. This is the equipment/gear menu. This is a screen shot from my iPad of my current supplies and hero. There are several types of missions to participate in. You have the story missions which take you along the complex story line working your way through the various cartels and the Rebel Alliance. Then you have a variety of side missions. There’s a daily credit mission with helps you earn credits to purchase upgrades and abilities. There are repeatable missions which allow you to collect credits and materials to level up your crew and gear. The other side mission is the assault mission. These missions are the most fun. You can earn credits, gear, materials but most importantly you earn battle readiness points which help push for whats known as a sector battle. A sector battle is a limited time mission in which you are battling Imperial forces in a sector. Your ranking when the sector battle is done depends on your loot. View of the galaxy map captured from my iPad. Screen shot of my hero in action. I could sit here and tell you how great the graphics are (cause they are great! ), or I could sit here and tell you how expansive the universe is, cause I’ve barely scratched the surface, or even how detailed everything is. I could say all of those things, and so much more. I’ll simply say this, I have enjoyed this game from the moment I downloaded it and I can’t help but play some every chance I get. Screen shot of my hero on Hoth. Notice the crashed snow speeder in the upper right hand side? It’s a complex enough game for the serious gamer but simple enough to play for the everyday, run of the mill, casual gamer like me. Download the game now on the Apple App Store or on Google Play if you have an Android. When you do, friend me! Together we can rule the galaxy as blogger and readers! My hero’s name is Zin Dilger. Friend me and we will blast some bucket heads together. This is my Star Wars fix now…at least till Rebels comes back….and The Force Awakens premieres! Oh what a glorious time to be a Star Wars fan!!!! I would love to hear your thoughts on Uprising or even other Star Wars mobile games. Leave your comments below. You can also find me on Twitter and always through email at aharris@coffeewithkenobi.com. I also recommend checking out some of my fellow bloggers here as well! 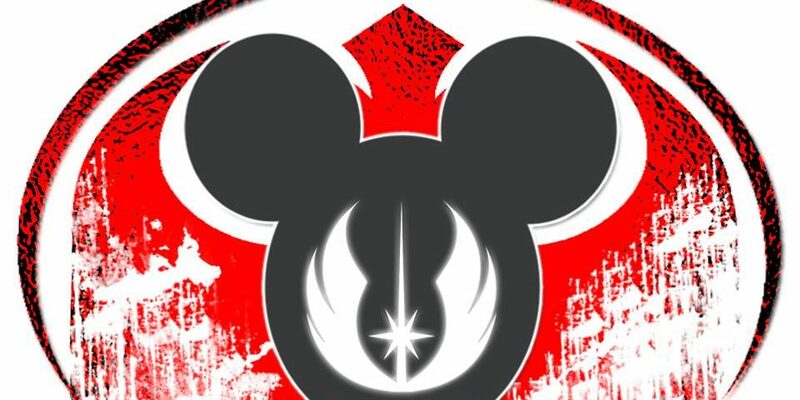 We have daily blogs by some great people who love Star Wars! The Force is strong here!!! Unfortunately my phone cannot handle any of the Star Wars Mobile Games. I am still enjoying Lego Star Wars 3: The Clone Wars on my 360. I wish they had made more games to cover the later seasons. (I would have loved to play as Pre Vizsla) Hopefully they will make Lego Star Wars 4 and have it cover Rebels. Hope all is good with hospital thing. Hey Gian! I’m doing a lot better now thank you. The Lego Star Wars Games are in a league of their own. They provide hours upon hours of entertainment. I wouldn’t be surprised if we see another Lego game soon. They are so successful. Take care my friend! Hope to see you soon! I hear that uprising is good, but for someone who likes clash of clans, I am surprised that you gave no mention to Star Wars Commander, which has been out for a year now. May not be as polished as CoC and missing a few bells and whistles, but otherwise, it is a Star Wars fan’s dream. I have really enjoyed it this past year, and the recent planets update 2-3 months back sure helped! If you get a chance, give Uprising a try, if you like the KOTOR style games you will enjoy this. As for Star Wars Commander, you bring up a good point. I do have Commander on my cell and play it daily. I enjoyed the game when I initially downloaded it but after several months of playing, I found it lacking and walked away. I have recently started back up playing Commander again, and the designers have improved the game over the year its been out, but I still find the multiplayer squad feature lacking. For me, the appeal of Clash of Clans is the ability to join the clan with friends and war against other clans. I have participated in 4 to 5 “squads” in Commander over the the year and the lack of participation and squad events is the biggest turn off. Commander is fun on the single player missions, but they are pretty easily beaten and there aren’t that many of them. I still play it. Building up my defenses, maxing my troop levels, improving attack strategies in hopes of a “squad wars” update in the future. Thanks for the comments!!! MTFBWY!!! !